Medical assistants work side by side with doctors, nurses and others on the health care team, treating patients from newborns to senior citizens. They multi-task throughout the day, blending a varied skill set of administrative and technical skills with communication and interpersonal skills. Medical assistants complete administrative and clinical tasks in the offices of physicians, podiatrists, chiropractors, and other health practitioners. Medical assistants usually do many different kinds of tasks, handling both administrative and clinical duties. Their duties vary with the location, specialty, and size of the practice. Clinical duties may include taking medical histories and recording vital signs, explaining treatment procedures to patients, preparing patients for examination and assisting the physician during the examination. It is important for aspiring medical assistants to learn from renowned medical professional instructors who are both academically and professionally qualified. When you are looking at a medical assistant training program they should have professional instructors with years of relevant, hands-on experience to share with you, creating real-world scenarios during your courses in medical assistant labs. 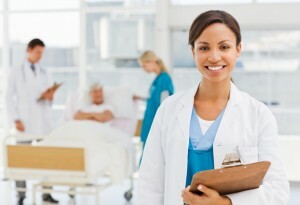 Most medical assistants work full time in physicians’ offices and other healthcare facilities. As a Medical Assistant, you can pursue employment in an array of environments such as doctors’ offices, urgent care clinics, assisted living facilities, chiropractors’ offices and more. Additionally, medical assisting is great experience for those interested in growing their careers within the healthcare industry. The median annual wage of medical assistants was $28,860 in 2010. The median hourly wage of medical assistants was $13.87 per hour in 2010. According to the U.S. Bureau of Labor Statistics, employment of medical assistants is expected to grow 31% from 2010 to 2020, which is much faster than the average for all occupations. As the health care industry expands because of technological advances in medicine and the growth and aging of the population, there will be an increased need for health care workers. Demand for medical assistants will stem from physicians hiring more medical assistants to do routine administrative and clinical duties so that physicians can see more patients. You should also know that medical assisting is a career that can lead you to a number of opportunities within the healthcare field. Medical Assistant certificates can prepare you for an entry-level position in most healthcare environments. Medical assistant training courses can help you explore a compassionate and satisfying career in the healthcare industry. Combining clinical patient care duties with administrative office responsibilities, medical assistants have quickly become a vital asset to today’s healthcare teams. Join in on this increasingly in-demand field and gain the skills and knowledge you need to successfully aid in this essential healthcare career. Medical assistants also deal routinely with the public, so being able to put patients at a sense of ease in a high-stress environment is a very important skill to develop. Learn routine medical procedures and how to effectively execute a wide range of day-to-day medical responsibilities in a variety of healthcare settings, such as physicians’ offices, health departments, clinics, hospitals, and surgical or lab facilities. Discover a career that makes a positive impact not only in your life, but in the lives of everyone you help. Enrolling in a Medical Assistant Training program gives you the convenience and flexibility of online learning with the quality of a medical professional education. Preparation for national certification exams to attain medical professional credentials such as Registered Medical Assistant (RMA) or Certified Medical Assistant (CMA). The CMA (AAMA) is considered the gold standard of medical assisting professionalism. The credential represents a medical assistant who has been certified by the Certifying Board of the American Association of Medical Assistants (AAMA). The CMA (AAMA) means a professional edge, increased prestige among colleagues, and greater job security. Learn more about the AAMA CMA here. Step 1: Find out if you are eligible. Step 2: Enroll in and complete an accredited medical assisting program. Step 7: Pass the CMA (AAMA) Certification/Recertification Examination. Step 8: Keep your CMA (AAMA) credential current. Review the CMA (AAMA) Certification/Recertification Exam Eligibility categories to see if you qualify to take the exam. In most states, there are no formal educational requirements for becoming a medical assistant. Most have at least a high school diploma. Many assistants learn through on-the-job training. Take CMA practice tests to test your current knowledge in the categories of Anatomy and Physiology and Medical Terminology. Once you pass the exam, you will receive an official certificate and wallet card to prove you have achieved your CMA (AAMA) credential.